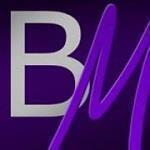 Beyond Midnight is an experienced 4 piece covers band based in Greater Manchester. We play songs from artists such as Tina Turner, ABBA, Chuck Berry, Free, Pink, Olly Murs, Jessie J, Stereophonics, Van Morrison, Bryan Adams, Duffy, Joan Jett to name but a few. Suitable for pubs, clubs, weddings and functions, we can play across the North West. The band has PL insurance and is registered with the Alliance of Musicians and Performers. Get in touch for more details.